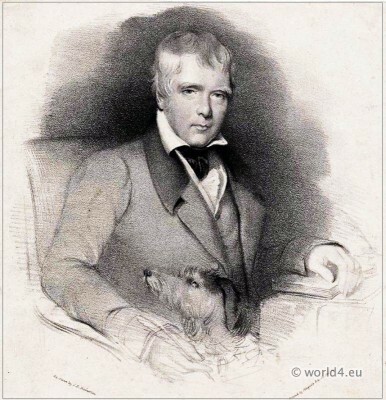 Home » Relics and antiquarian treasures of Sir Walter Scott. Abbotsford – Residence of the English writer Sir Walter Scott, 1st Baronet of Abbotsford (1771-1832). 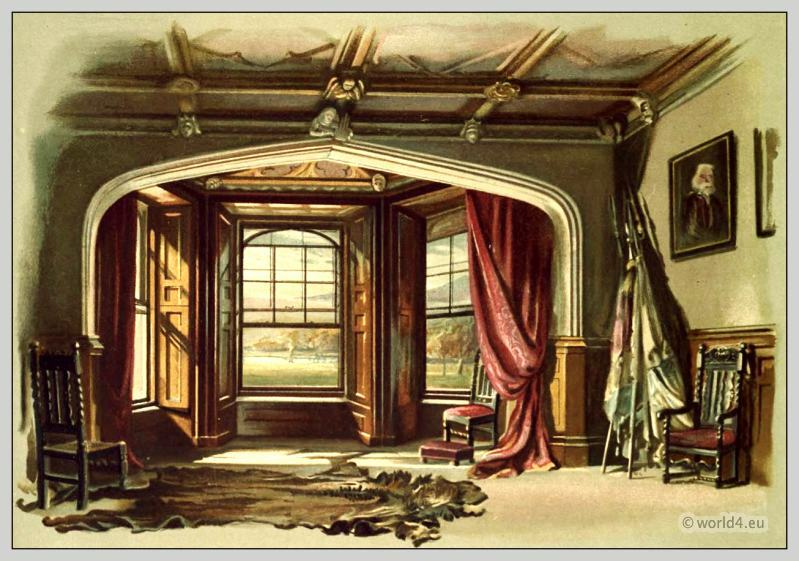 From the book: Abbotsford, the personal relics and antiquarian treasures of Sir Walter Scott. Illustrated by William Gibb – Maxwell-Scott, Mary Monica (Hon), 1852-1920. 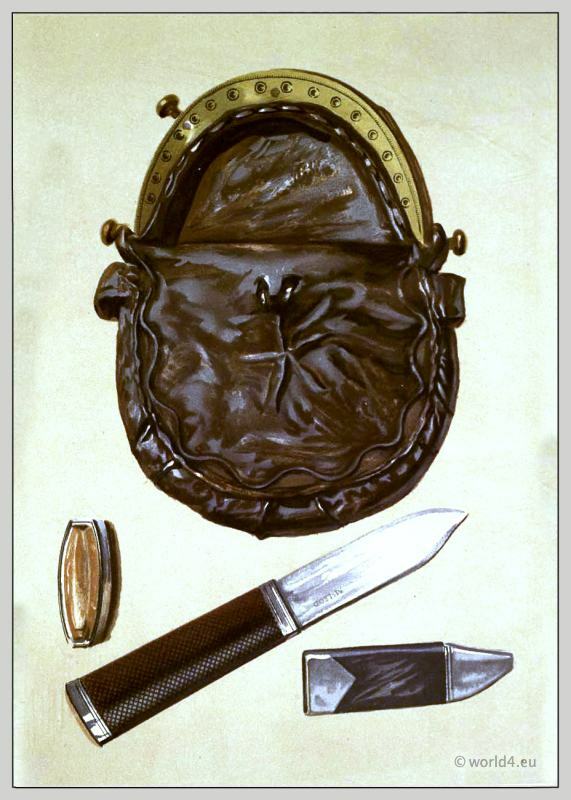 The Purse of Rob Roy. 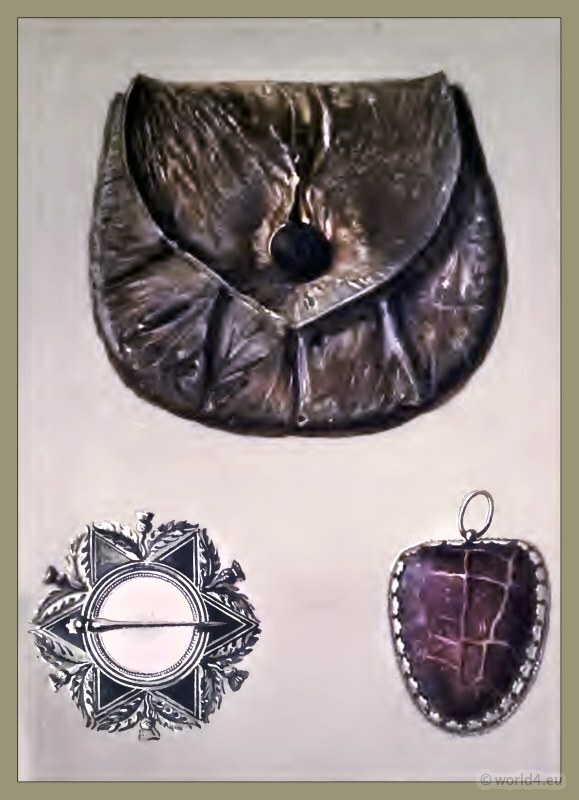 Helen Macgregor`s brooch. Toadstone Amulet. A Polygar’s knife. 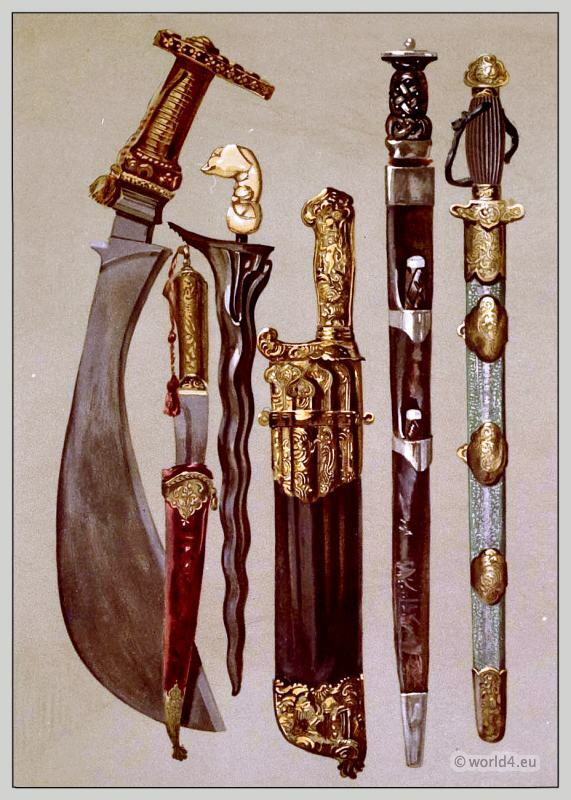 A Persian dagger and sheath. A malay Kris. 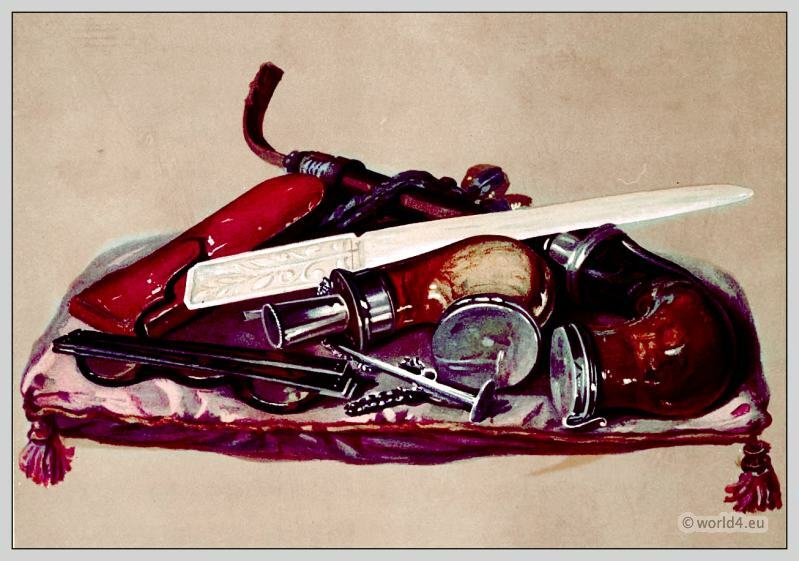 Case of hunting-knives, or Couteaux de chasse. Rob Roy’s dirk by Andrea Ferrara. A Tartar sword in brass-mounted shagreen scabbard. Sir Walter Scott’s body clothes. 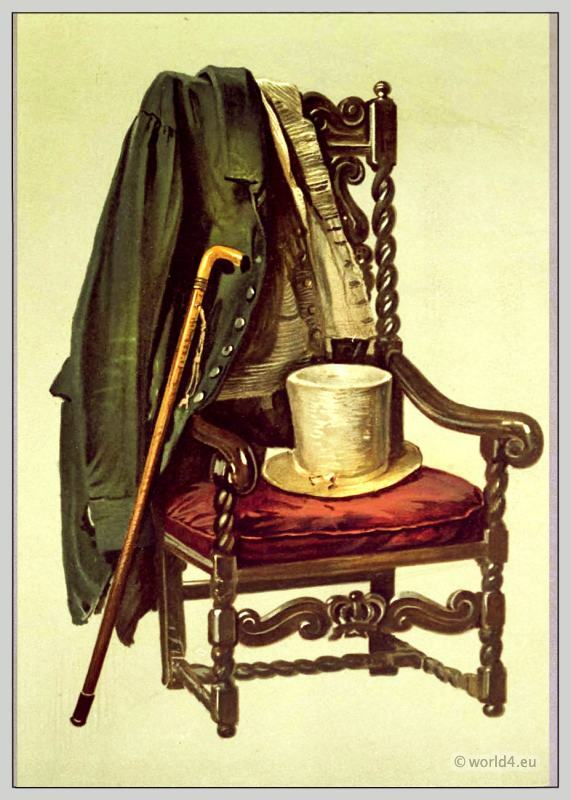 Coat, waistcoat, hat and walking stick. Hall door looking towards study and showing corner of desk. 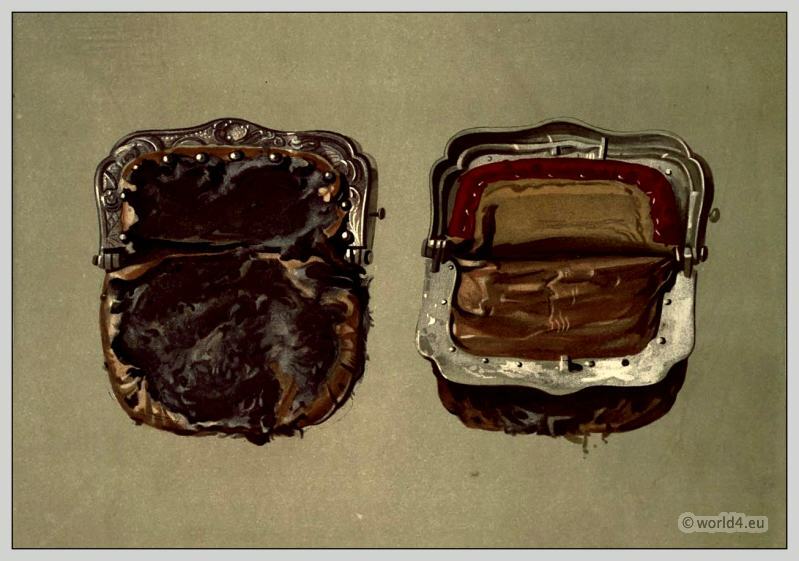 A purse worn by Sir Walter Scott. 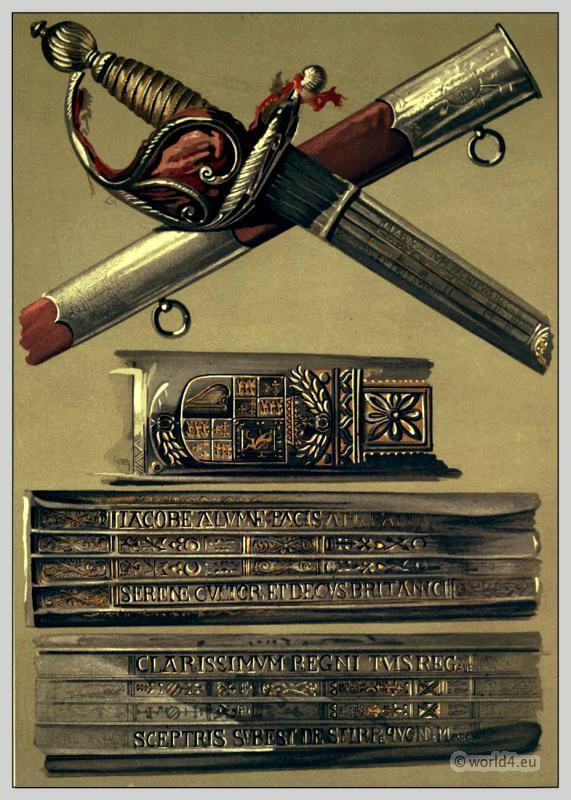 Collection of antique knives and blades by Sir Walter Scott. 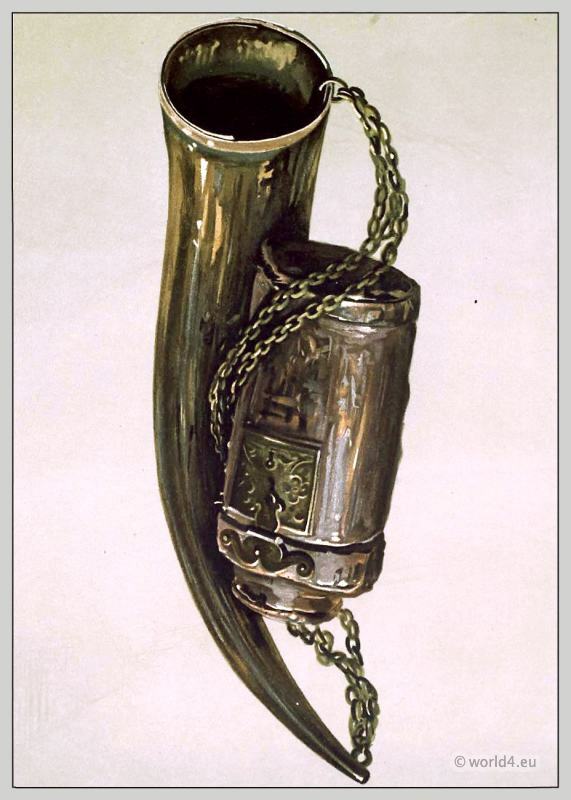 Border war horn and James VI.’s hunting-bottle. Rob Roy`s Sporran and Skene Dhu. 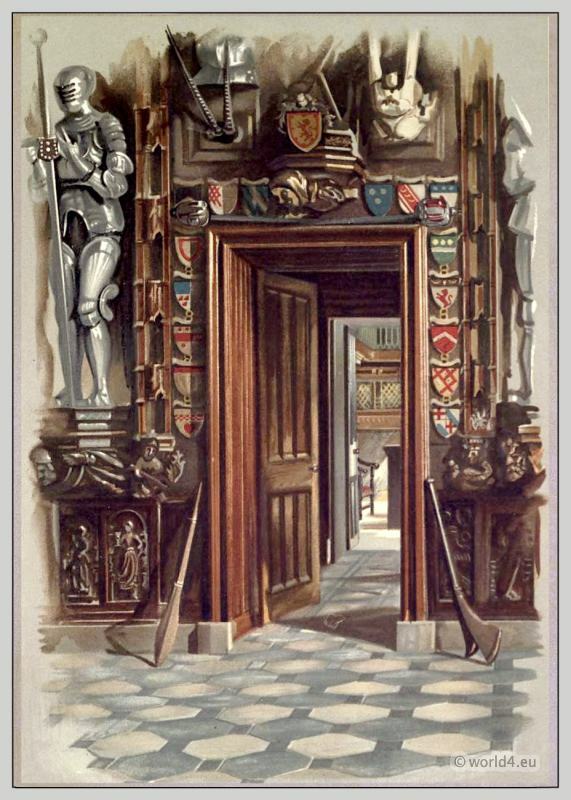 Abbotsford hall door. 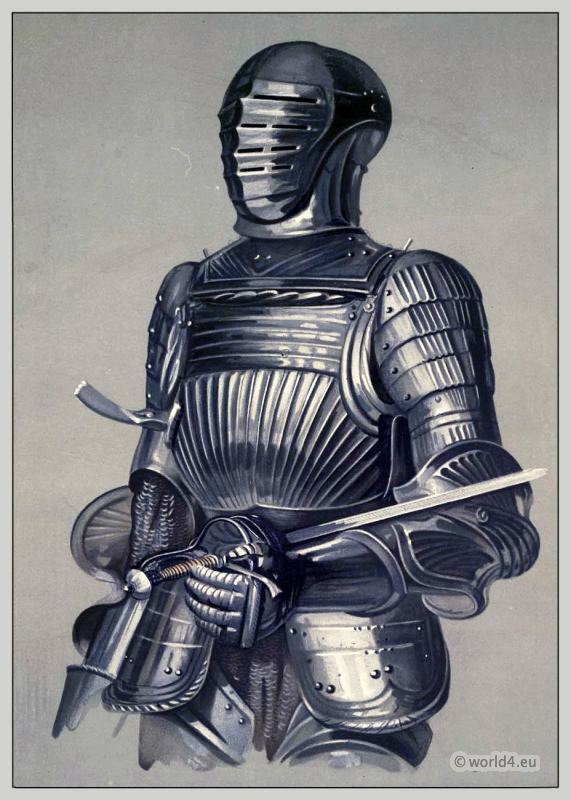 A complete suit of feudal steel armor. 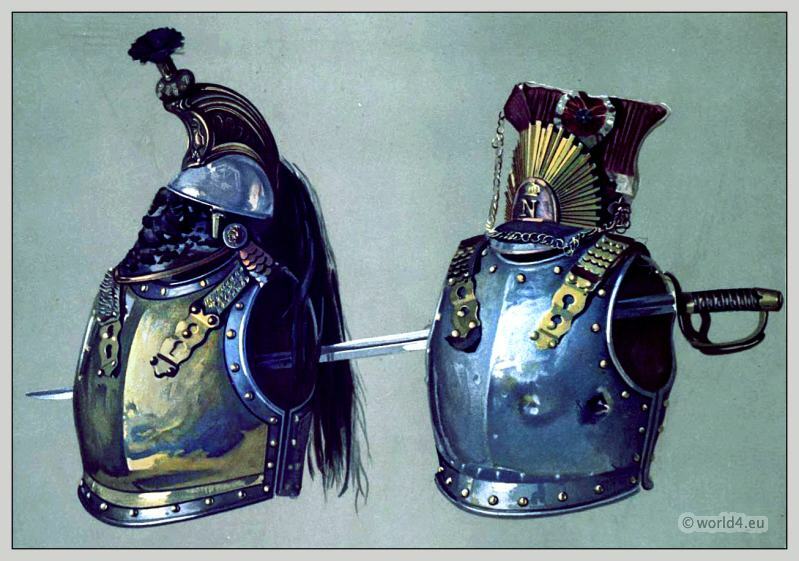 French knight armor. The gigantic warrior of Bosworth Field. 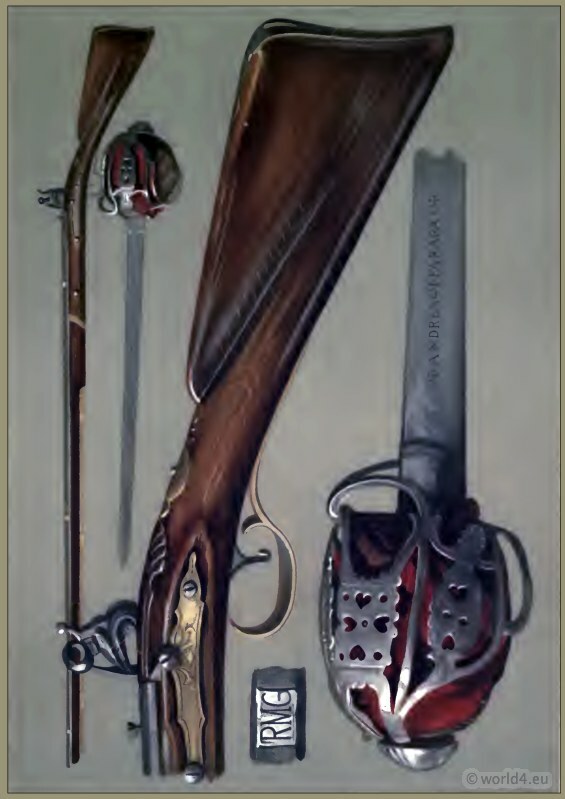 Rob Roy`s Andrea Ferrara blade and old flint-lock gun. Sir Walter Scott`s Meerschaum Pipes, Spectacles, Case, Paper-Cutter. Abbotsford – Residence of the English writer Sir Walter Scott. Abbotsfort was originally a small farm called Cartleyhole, near Melrose in the south of Scotland. Sir Walter Scott purchased the property in 1811. The name of Abbotsfort goes back to the nearby river Tweed and a ford crossed by the monks of the monastery of Melrose at this point the river to their lands. Literally the abbots of the ford. He integrated into the walls of the house many old sculptures and components from Scottish castle ruins and abbeys. The floor plan is a parallelogram with irregular contours. One side overlooks the River Tweed. The house is built in the style of the early Scottish Baronials with its oriel windows, battlements, towers and stepped gables. 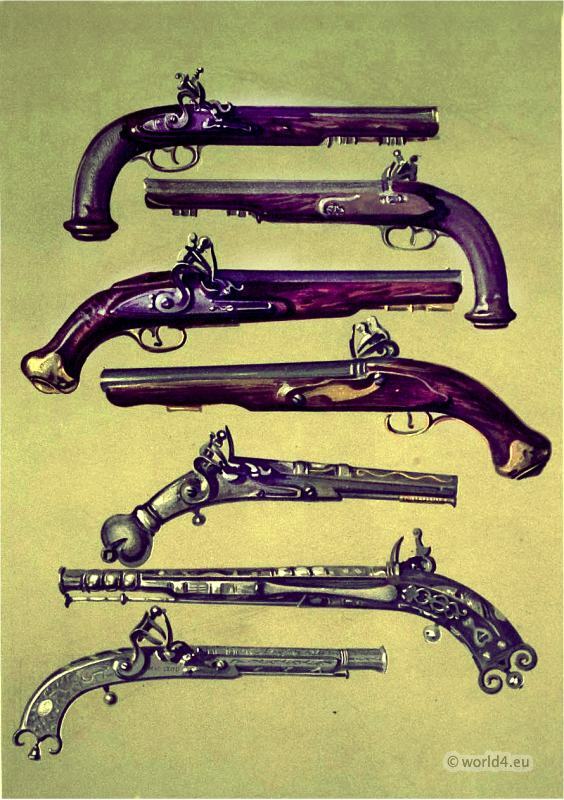 He founded a great library, a collection of furniture, arms and armor and other antiques of Scottish history. The property became famous quickly across national borders. In addition, he created the foundation by purchasing land for a park and exceptional aesthetic agricultural landscape. 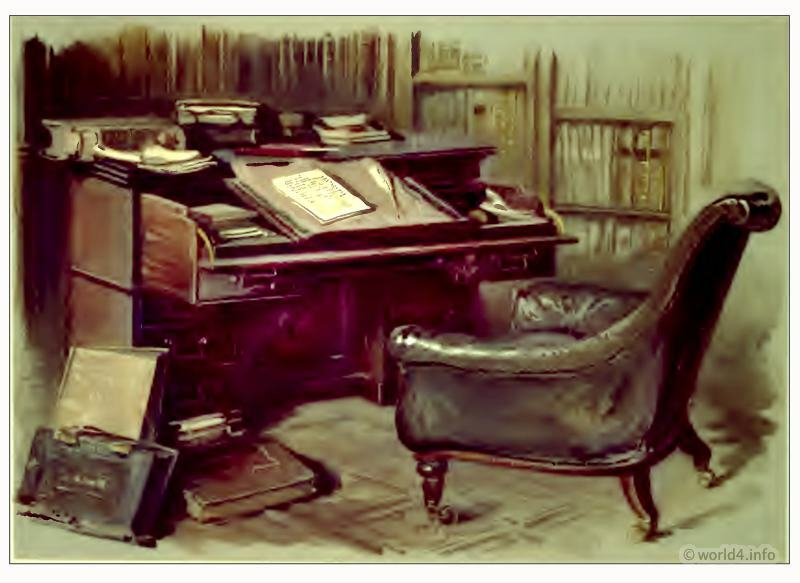 Under Abbotsford style is today understood Victorian carved oak furniture, which had become popular by the furniture of the Library of Abbotsford. The descendants of Sir Walter Scott, children of Scott’s daughter Sophia, opened in 1833 (a year after the death of Walter Scott) the gates of Abbotsford to the public. The great success of this enterprise, visible based on the unusually large influx of visitors from all over the world, led to an extension of the house and the adaptation of garden and landscape architecture. These early changes are now leading the way in terms of the history of tourism in the UK. Read online or download as free Ebook in PDF format at the following: Abbotsford; the personal relics and antiquarian treasures of Sir Walter Scott. Illustrated by William Gibb (1893) link.